Your home’s HVAC system is responsible for keeping you comfortable indoors no matter the temperature outside. 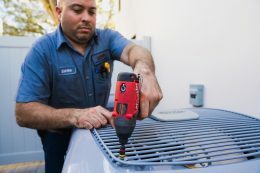 Unfortunately, neglecting regular HVAC maintenance tasks can lead to air conditioner and heater breakdowns and may even force you to replace a relatively new unit. Heating and cooling systems are efficient pieces of machinery that must be serviced on a regular basis in order to stay in good, working order. In a sense, your air conditioner is a lot like your car. If you don’t service your car on a regular basis, you’re bound to have problems. 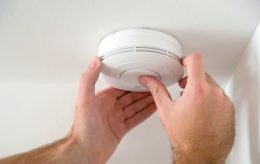 Staying up to date on HVAC maintenance tasks is a great way to protect your home comfort system while ensuring that it offers the most efficient service possible. We know that staying on top of air conditioner or heater maintenance tasks can be difficult. We’ve created our Cox Air Conditioning Maintenance Service Agreement to take the fuss out of regular maintenance. With our easy plan, you’ll never forget to have check-ups performed. Our aim is to clean and calibrate your system, so that you can save on utility bills, be comfortable in your own home and rest assured that your HVAC system is working as designed. System issues can be identified and corrected before they lead to costly breakdowns. Your unit will be calibrated to provide for maximum energy efficiency, meaning you’ll save on utility bills. Your technician will complete all work in accordance with the manufacturer’s warranty. Your HVAC equipment will enjoy the longest operating life possible. A 10 percent discount off our normal labor rate. A 10 percent discount on regular prices for parts and freon. Two comprehensive, seasonal inspections per year. During regular service, your technician may identify mechanical problems with your unit. We will not complete any repairs or replace any system components without your approval. At Cox Heating & Air Conditioning, we take pride in serving residential and commercial customers throughout the Clearwater, Florida area. Call us today to find out more about our Maintenance Agreement and how we can help you protect your HVAC system. 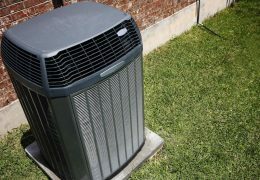 Remember that operating an air conditioner for one year is the equivalent to putting 10,000 miles on your car. 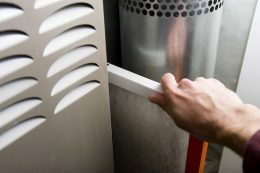 Servicing your HVAC unit, much like servicing your vehicle, will ensure its longevity and efficiency.